The success of the RE conference series would not be possible without the help of our enthusiastic, dedicated community. 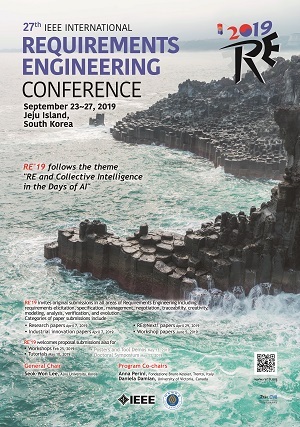 If you would like to help spread interest and information about RE'19, please feel free to Call for Papers found here and make use of the resources on this page. If you would like to promote RE'19 on your webpage, we have prepared the HTML embed code for the logo and the bookmark. 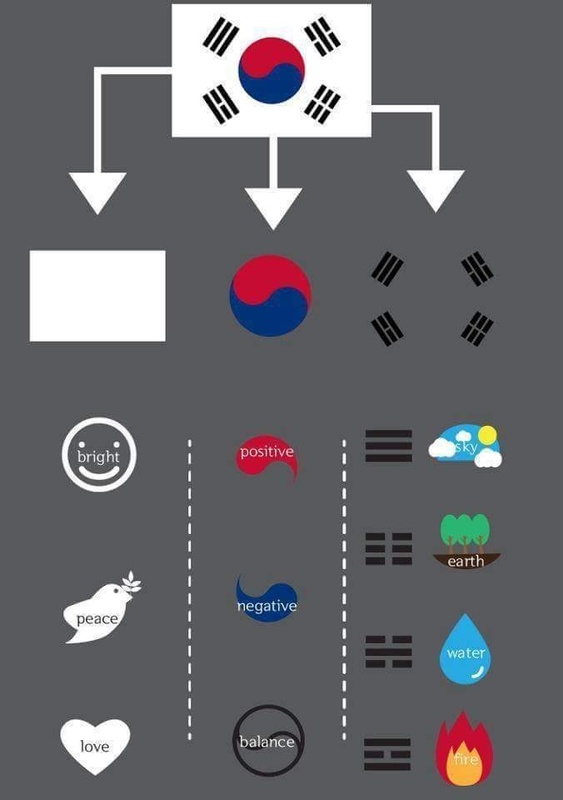 We prepared three types of logo based on the different themes about Korea. They have basic main concept, Taegeuk (Hangul: 태극). Taegeuk is the Korean form of the Chinese term Taiji (old spelling "Taichi"), meaning "supreme ultimate". The Korean term more specifically refers to the graphical symbol (taijitu) composed of interlocking semi-circles composing a sinusoid design. The symbol was chosen for the design of the national flag in the 1880s, known as taegeukgi (Hangul: 태극기, with gi meaning "flag"). The Taegeuk is commonly associated with Korean Taoist philosophical values as well as Korean shamanism. The following figure shows the meaning of each part of Taegeukgi in detail. A cheongsachorong is a traditional Korean lantern. It is typically made by joining red and blue silk shades and hanging a candle inside the body. Although used historically in wedding ceremonies, it is widely displayed in various cultural exhibitions today in South Korea. Dol-Haru-Bang Download Download Dol hareubangs, also called tol harubangs, hareubangs, or harubangs, are large rock statues found on Jeju Island off the southern tip of South Korea. They are considered to be gods offering both protection and fertility and were placed outside of gates for protection against demons travelling between realities. Please check following link. Jeju Haenyeo Download Download Haenyeo (also spelled haenyo) (Hangul: 해녀; lit. sea women) are female divers in the Korean province of Jeju. Known for their independent spirit, iron will and determination, the haenyeo are representative of the semi-matriarchal family structure of Jeju. Please check following link. 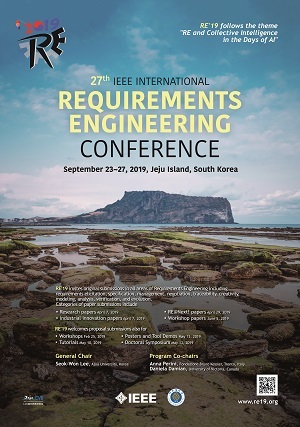 If you would like to post the RE'19 flyer and posters on your office door or a bulletin board at your work place, we have prepared a variety of sizes and formats. We have Facebook, Twitter, and Google+ accounts. If we post an update that you like, please share and retweet. These pages are also a good way to ask questions and engage with the RE community. You can follow Follow @ieee_re or mention us Tweet to @ieee_re from here. On our Facebook and Google+ pages, you can read the latest news, post comments and ask questions. Our Social Media Chair will answer them as quickly as possible.